Home » Evidence » Jury can know about all defence medical examinations. Jury can know about all defence medical examinations. On November 27, 2015, the BC Supreme Court confirmed that it is fair game for plaintiffs to testify that they attended a defence medical exam where no report was produced and the defence is not relying on opinion evidence from their expert. In Norris v. Burgess the plaintiff alleged injury as a result of two collisions. The defendants denied any injury occurred. In the course of the lawsuit the plaintiff attended a defence medical appointment with a psychiatrist. The defendants “chose not to obtain a medical opinion from the psychiatrist” and did not call him as a witness. 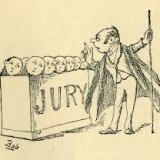 In the course of trial the defendants objected to the plaintiff testifying “as to her attendance and surrounding circumstances of the independent medical examination“.